The bright and timeless color palette of Tortex® Picks is just as important as their feel and tone. For countless players, the color of their favorite Tortex Pick gauge is part of their identity. Jim Dunlop first introduced color-coded gauges at a time when player choice and quality control were limited in the pick business. For gauges, you were stuck with Light, Medium, and Heavy. Consistency was questionable not just from company to company—it was also questionable within individual companies themselves. Starting with Nylon Picks, Jim doubled the number of gauges available and noted the gauge right on the pick, in millimeters, to prove to players that he was serious about providing them with reliable options. Overnight, Jim established a new standard for player choice and consistency. Today, we take it for granted that a pick you buy today is exactly like the one you bought last month, or last year, but we can thank Jim for setting that expectation. 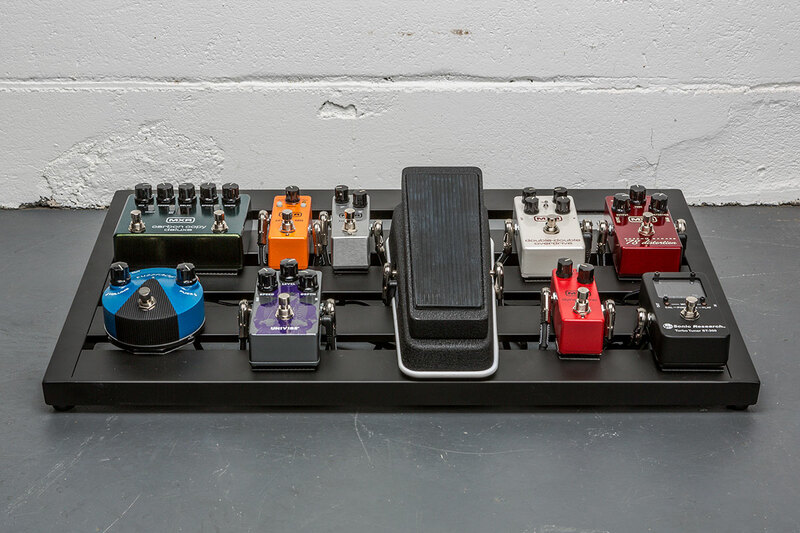 It’s the final month of our multiple pedalboard giveaway—the America’s Saddest Pedalboard Contest. If you think you have the jankiest, most ill-equipped pedalboard in America, then all you have to do to enter the contest is take a picture of it and share it on social media with the tags #JIMDUNLOP, #SADBOARD, and #ROCK. 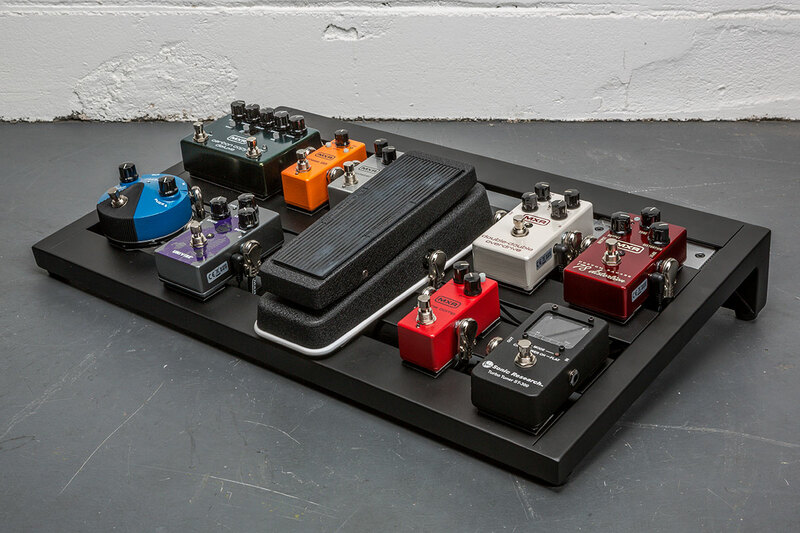 If your photo gets the most votes, you’ll win a brand new, fully stocked pedalboard. 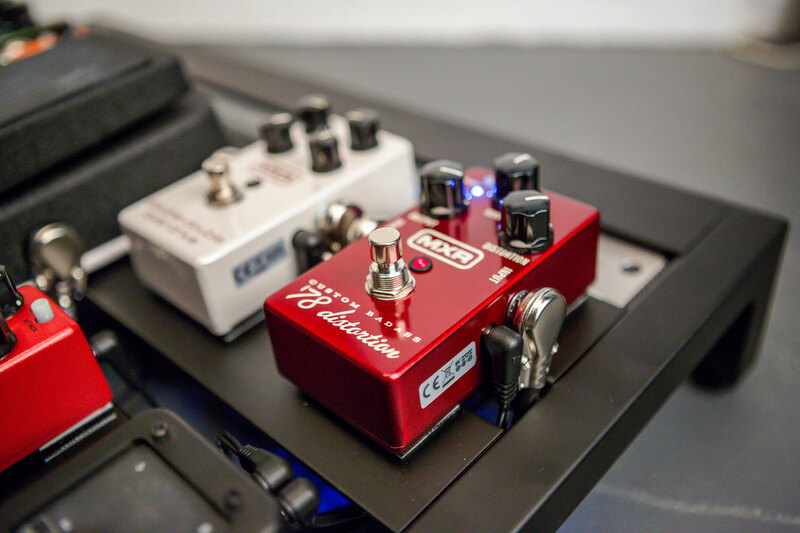 We’re giving away a different pedalboard each month. This pedal continues a theme by delivering warm, vintage-style analog delay with modern functionality—up to 1.2 seconds of delay time, a tap tempo function, a tap-division feature, plus a modulation circuit and a switch for brightening up the tone, and so on. 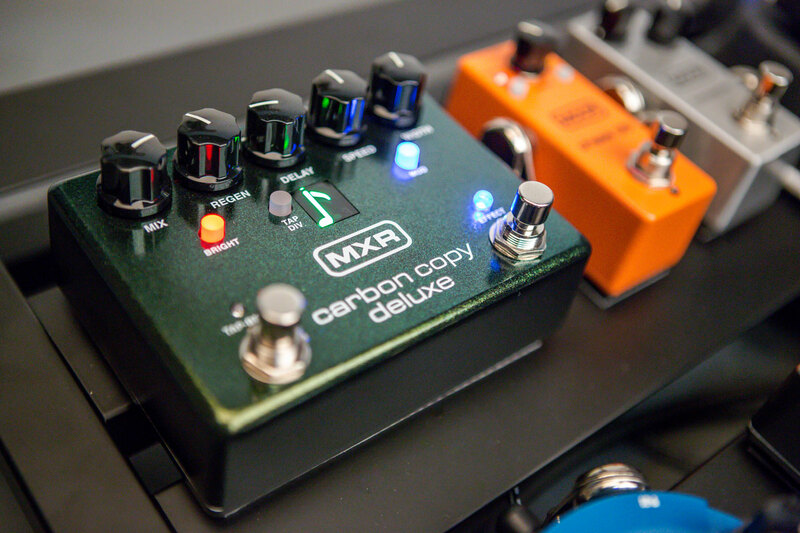 Using the Carbon Copy Deluxe Analog Delay can be as simple or as intricate as your needs dictate, making this the perfect choice for your classic rock board. 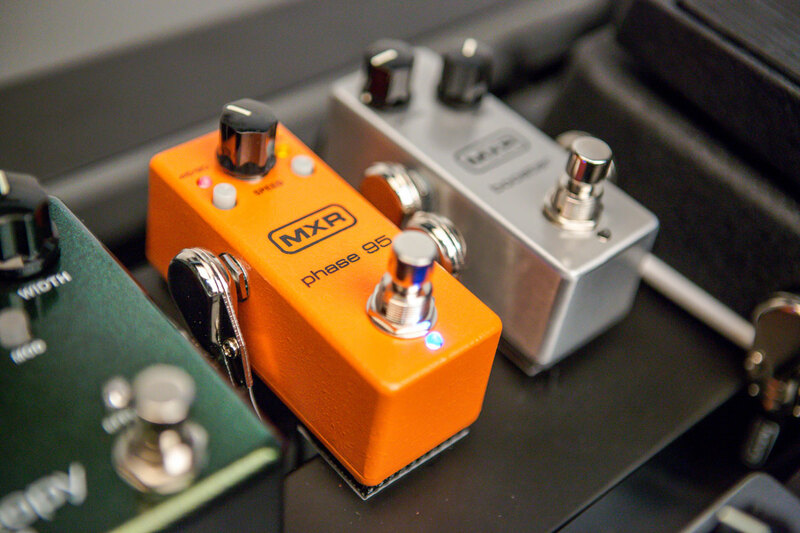 This pedal brings you both of MXR’s classic phasers—the Phase 45’s subtle two-stage phasing and the Phase 90’s more pronounced four-stage phasing—with a Script switch that toggles between modern and vintage phasing styles. All in a mini MXR housing. Nice. This little boost pedal is all about slathering your tone with secret sauce and kicking it into the high heavens. 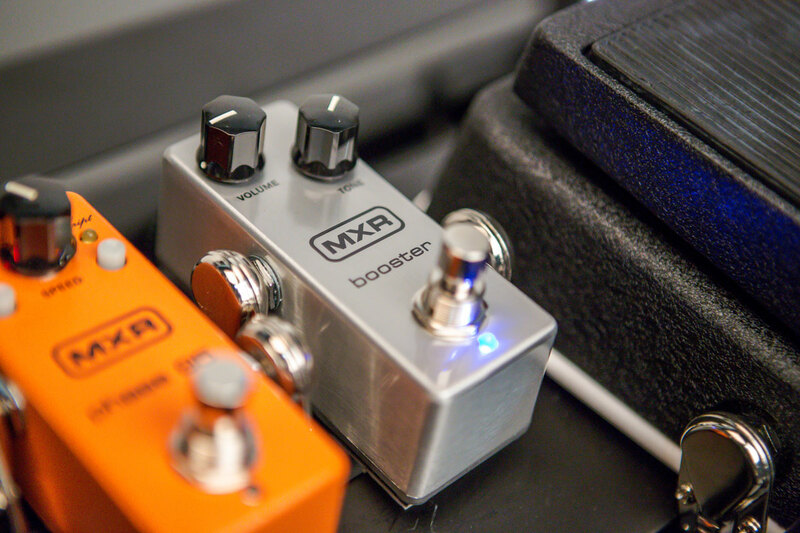 The sauce comes from the Echoplex Preamp while the boosting power—up to +25dB—comes courtesy of the MXR Micro Amp circuit. It doesn’t get more classic than Jimi Hendrix and a Cry Baby Wah. 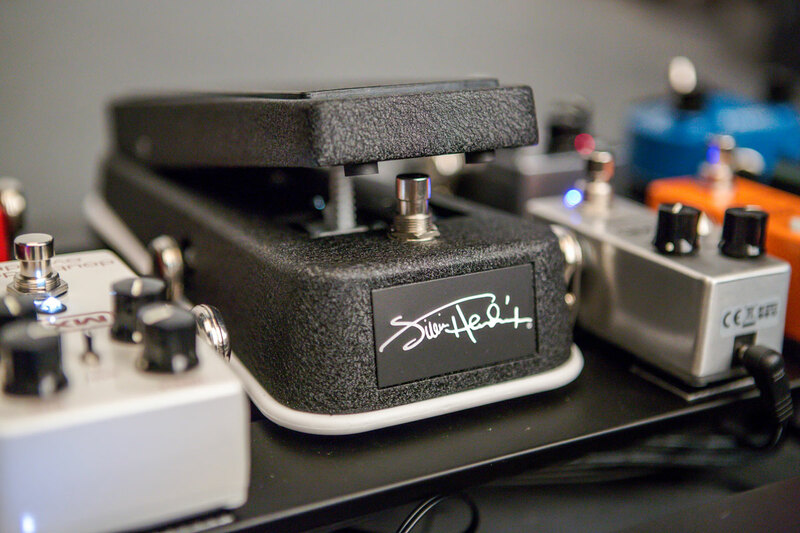 This pedal is based on the one he used to record his greatest wah licks, infusing your tone with the throaty expressiveness those songs are famous for. 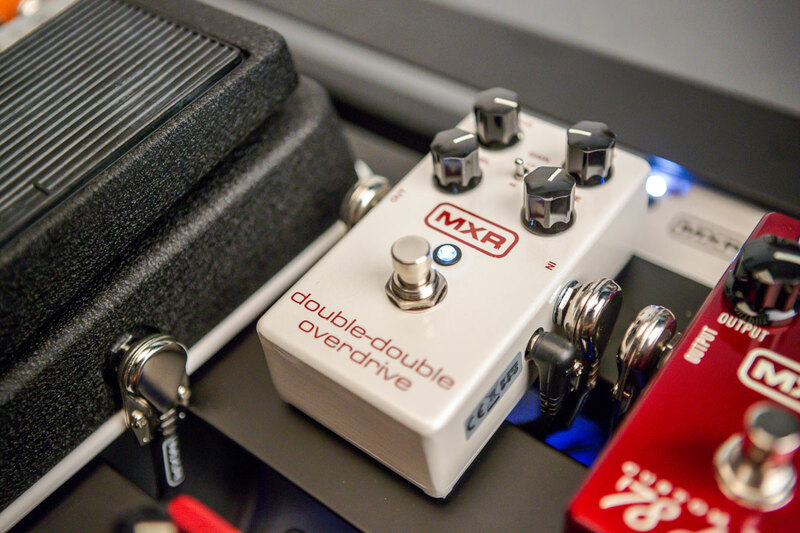 This pedal serves up two classic overdrives in a single housing—Low Gain mode for rich, fiery midrange tones and High Gain mode for high gain and a bump in the highs and lows. With Treble and Bass controls, you can season either sound to your taste. 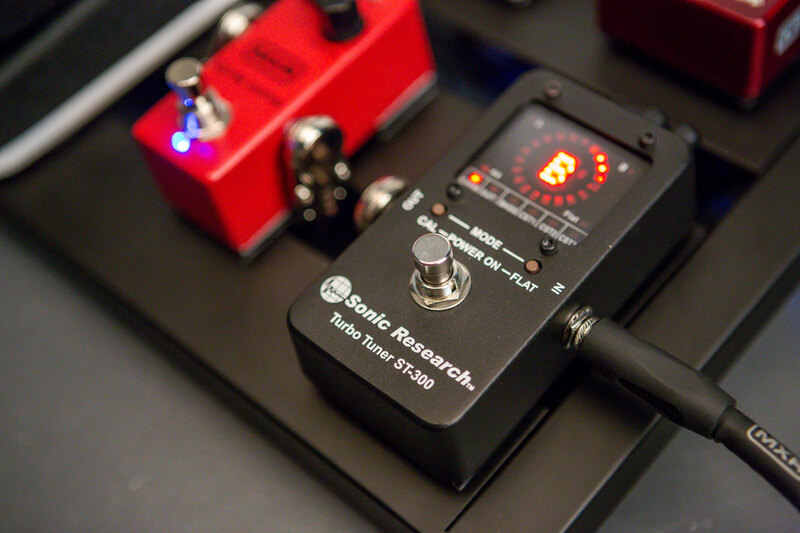 This pedal brings you huge amp stack tones and tube amp-like distortion straight out of the late ’70s. It has your standard three-knob setup for simple and easy use, but its CRUNCH button allows you to choose between silicon and LED clipping, which kicks up the harmonic content of the distortion. This pedal sounds great no matter how you use it—in front of a clean amp, a slightly dirty amp, or a full-on overdriven amp. A regular sized Fuzz Face Distortion is an awesome thing to have, but when you’re building a board with upwards of ten pedals, it’s difficult to make space for something the size of a mic stand’s base. 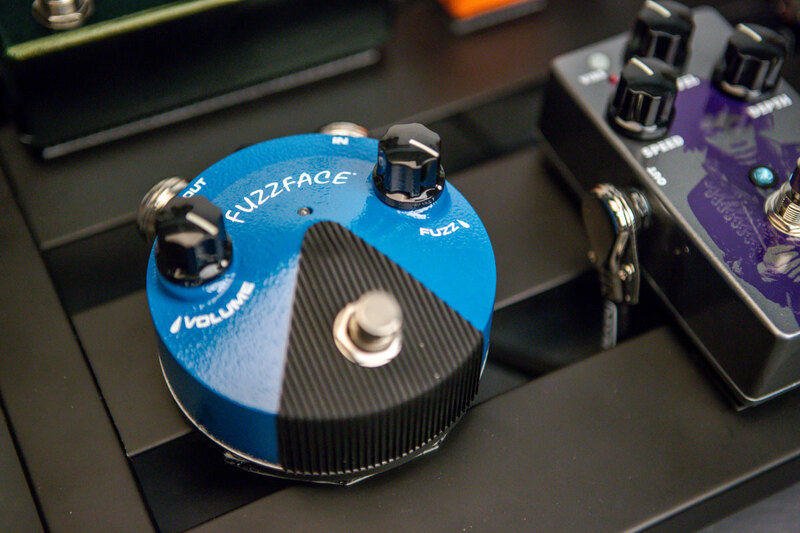 So we’ve included the Fuzz Face Mini Silicon Distortion, which sounds bright and aggressive and comes with a few modern upgrades such as a bright status LED, an AC power jack, and a battery door. Modern convenience, but the sound is all vintage. 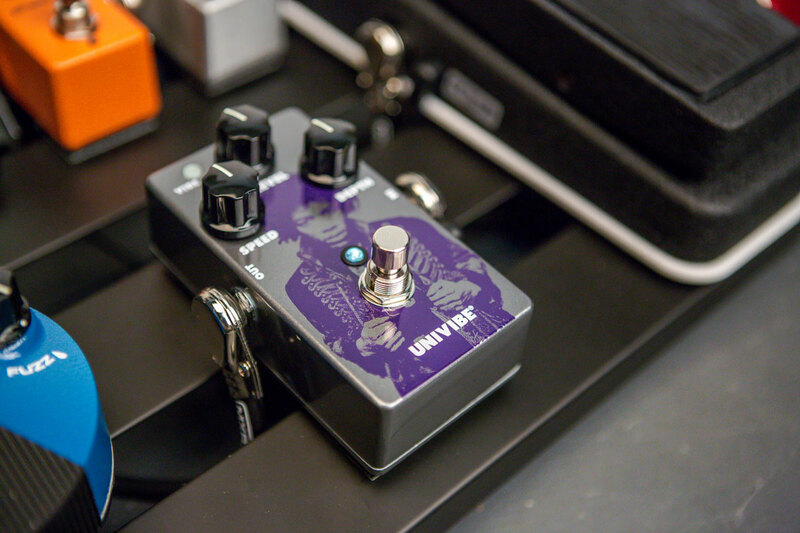 This pedal captures the lush, chewy textures of Uni-Vibe pedals from back in the day, but it comes with a much more accommodating Phase 90-sized housing rather than the original’s hunk of metal. 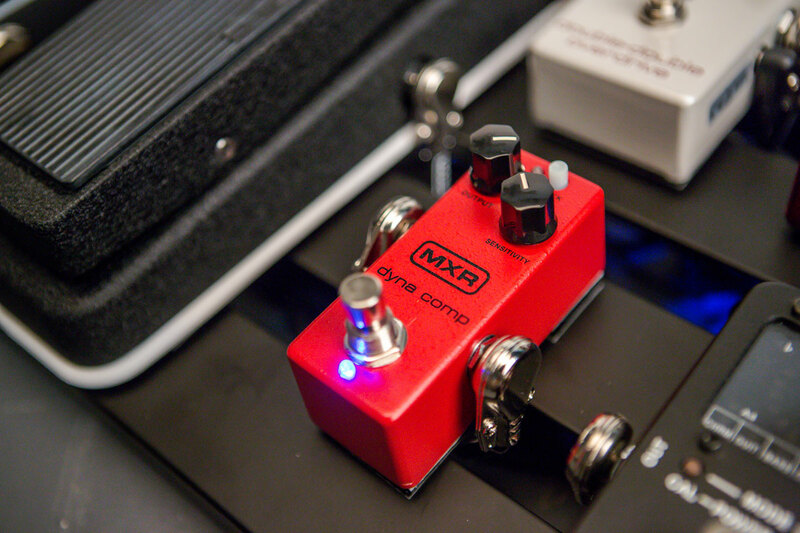 With this pedal you get old school MXR compression and save on pedalboard space at the same time. Plus, you get an Attack switch to toggle between slow and fast attack times. 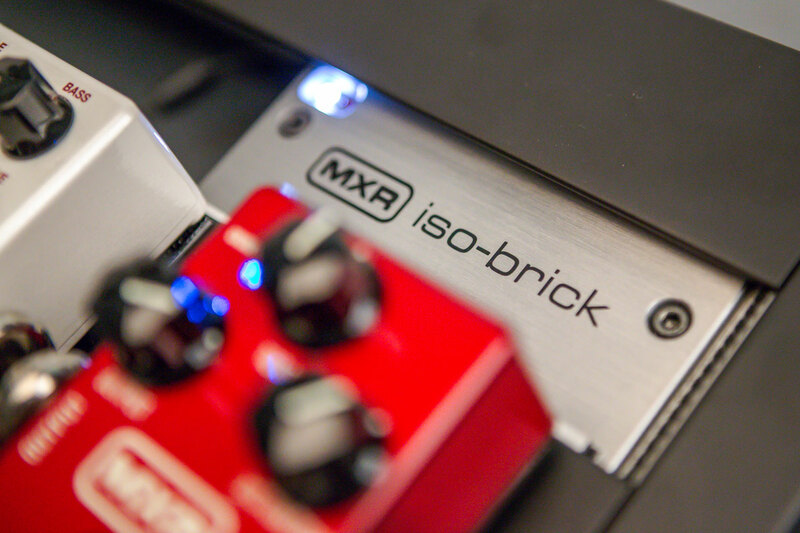 You need a reliable power supply, so we tucked the lightweight and pedalboard-friendly Iso-Brick Power Supply underneath the pedalboard, where it has ten fully isolated outputs ranging from 9V to 18V, including two variable 6V-15V outputs. The two variable outputs can be used to emulate voltage sag, a drained battery effect sought by many vintage tonechasers—try it with the dirt pedals for some gnarly lo-fi sounds. 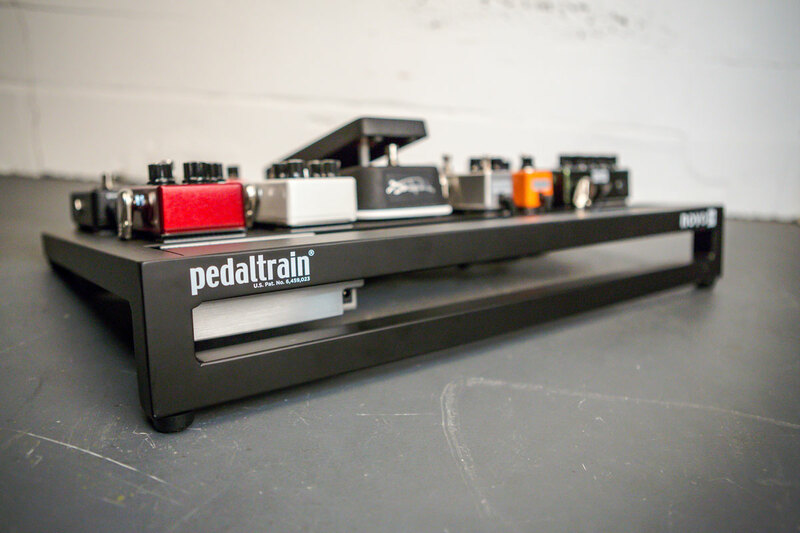 Thanks to our friends at Pedaltrain, all the goodies above come wired on a Novo 24 Pedalboard. It’s a five-rail design that’s open-faced and angled for easy stomping access, and it’s made from aircraft-grade aluminum, so it’ll take a beating without weighing you down. Rad.